Sleepless nights about the difference between Modern and Modernist? You are in good company! Many years ago when I was read to start my own blog “The Modernist Angle”, my wife and I – we work together – discussed the two terms at length. It seems like a real First World problem, but it’s like in cooking: if you’re sloppy in the details, it comes back to bite you later. And even though sometimes people frown upon me throwing around words I don’t understand and can hardly pronounce in my native language, certainly not in English, there is a reason we chose “Modernist” over “Modern”. With our mission being “Brokering, Promoting and Preserving ..... Homes and Architecture”, an important step was to check the use of the two terms on the web – where “Modern” was the clear favourite, especially from a business perspective. Thus, we ended up using “Modern” in the larger context, but in the blog as well as in a verbal context where we can discuss, explain and elaborate, we prefer “Modernist” as the more precise term. Good teaser question to ask your favourite architect, isn’t it? And what is your preference? 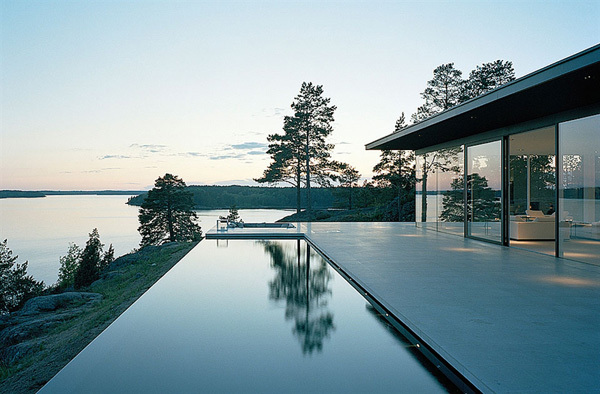 Photo: Villa Abborrkroken, Överby, Värmdö/Sweden; architect: John Robert Nilsson, Stockholm, 2007-2009. More info.